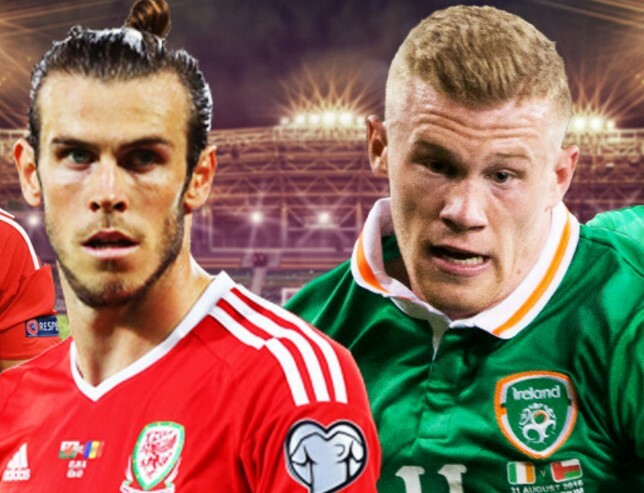 Wales vs Ireland Republic: This is the final match of the group D of round 1 in the Europe’s Preliminary Competition. All the nine group winner will be qualified directly to the World Cup 2018 Russia. While the eight best group runners-up will contest Round 2 in November 2017. Wales, today’s game host nation facing the Ireland Republic. This is the very important match of the day. Because the winner of this match will get a chance to play on round two if the Serbia national football team will have their win. Also, they had an another big chance to be qualified for World Cup 2018 Russia if the Serbia lost their match against Georgia. After two draws, the Wales has three consecutive wins recently over Georgia, Moldova, and Austria. But the Ireland Republic had not a good record in their recent games, they scored two wins, two draws, and a loss. Wales XI vs. Republic of Ireland: Hennessey; Gunter, Williams, Chester, Davies; Allen, Ledley; Ramsey, King, Lawrence; Robson-Kanu. Republic of Ireland XI vs. Wales: Randolph; Christie, Clark, Duffy, Ward; Arter, Brady, Meyler, Hendrick; Murphy, McClean. United Kingdom: S4C, Sky Sports Football, BBC Radio 5 Live, Sky Sports Main Event, Sky Go UK, NOW TV UK, SKY GO Extra, S4C Red Button, S4C Clic. United States: Fox Sports 2 USA, FOX Sports GO, fuboTV, SiriusXM FC, FOX Soccer Match Pass. Ireland: RTE 2, SKY GO Extra, NOW TV UK, S4C Clic, Sky Go UK, Sky Sports Football, S4C Red Button, S4C, Sky Sports Main Event, BBC Radio 5 Live.